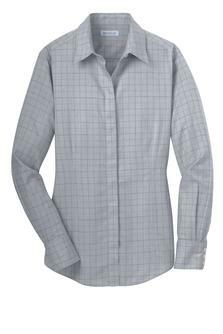 Crisp tailoring and a classic windowpane pattern make this shirt striking. An enhanced non-iron finish keeps it looking composed throughout the day. Created with 40-singles and 80-doubles yarn, this two-ply 100% cotton shirt has single-needle tailoring. Hidden button-down collar and notched patch pocket. 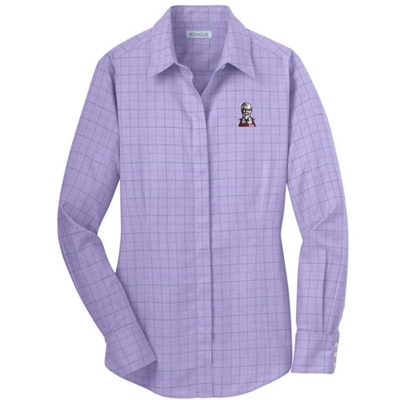 Red House® engraved buttons and embroidery on the right sleeve placket. Two-button notched cuffs.